Align Chart Title in Excel - Explained! We can change the Excel title position and align the chart title in the Excel charts as per our requirement. 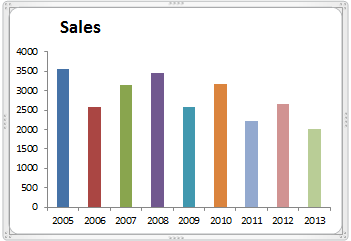 By default chart title will align top-center of the chart in Excel 2003,2007,2010,2013. We can place the chart title any where in the chart title. We can place left corner of the chart. We can align the chart title at right corner of the chart. We can align the chart titles at top of the chart or bottom of the chart or middle of the chart. It is easy to change the chart title position in the Excel. We can select the Chart title and move the chart title to required position. The following step by step approach will help you to align the chart title position in the Excel Charts. You can activate any chart and select the chart title to re position the title. The below screen shot will show you how to select the chart title. Now you select and move the chart title to required position with the help of Mouse. Here I am moving the chart title towards left position of the chart. No you can leave the Mouse and re-size the chart title if required. Here is the final chart title aligned at left side position of the chart. 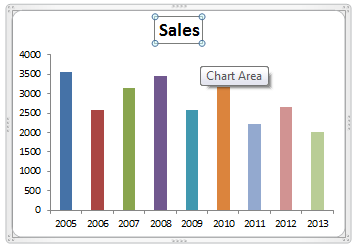 We can also use VBA to align the chart titles, instead of doing it manually aligning the chart title. 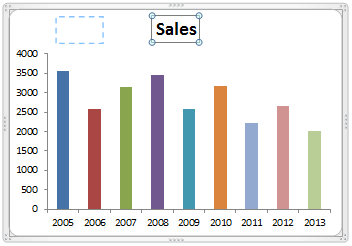 The following example will help you to understand how to align the chart titles in Excel using Excel VBA. In this example, we will set the chart to an Object. Then we will select the chart title. And align the chart title.